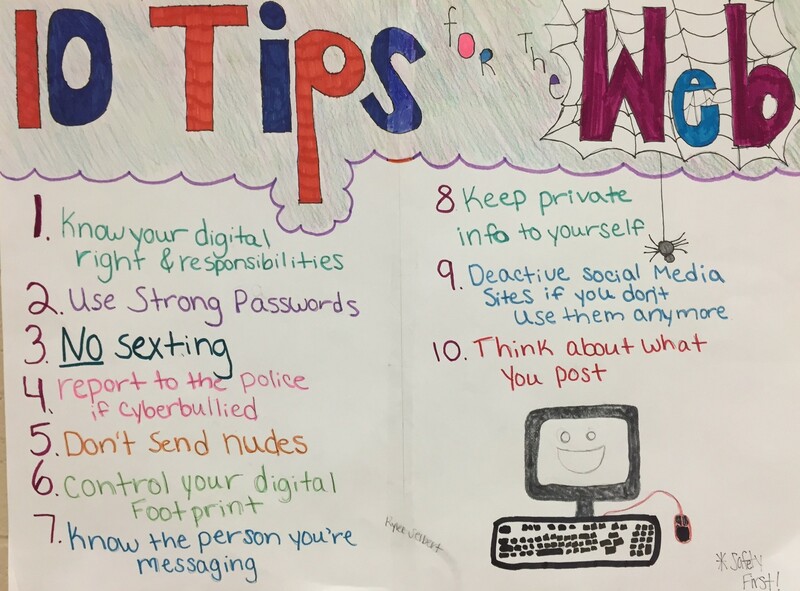 Here are some examples of student work from my class. 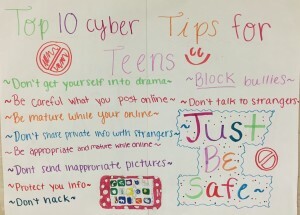 The videos were put together by student groups using a web tool called Powtoon. 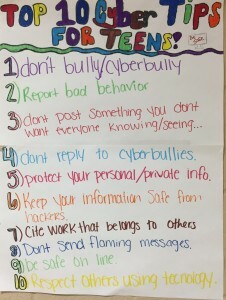 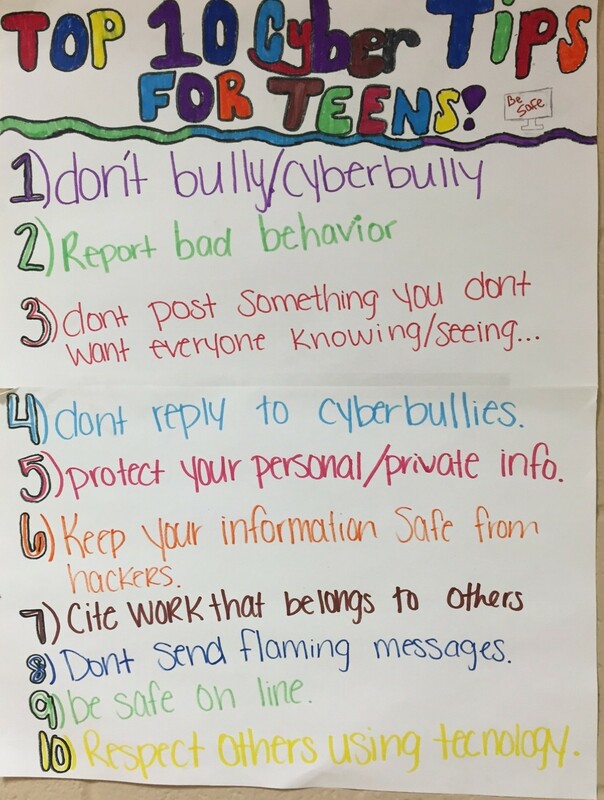 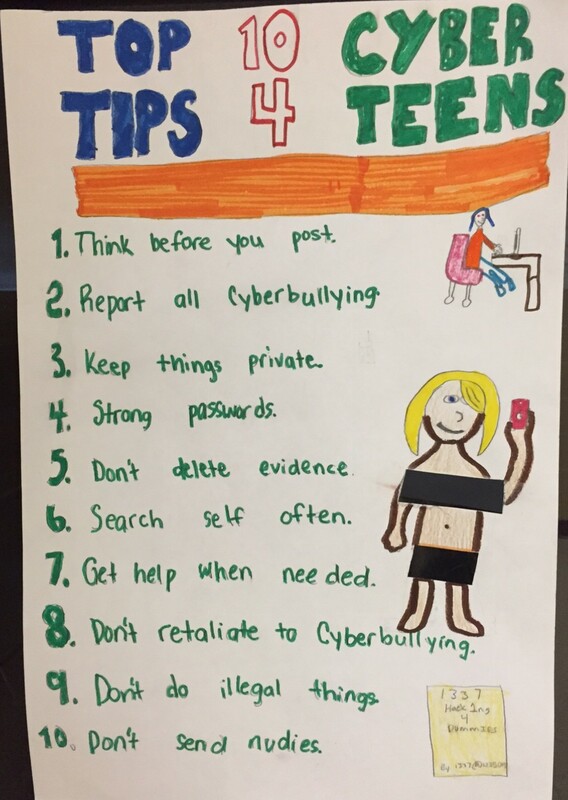 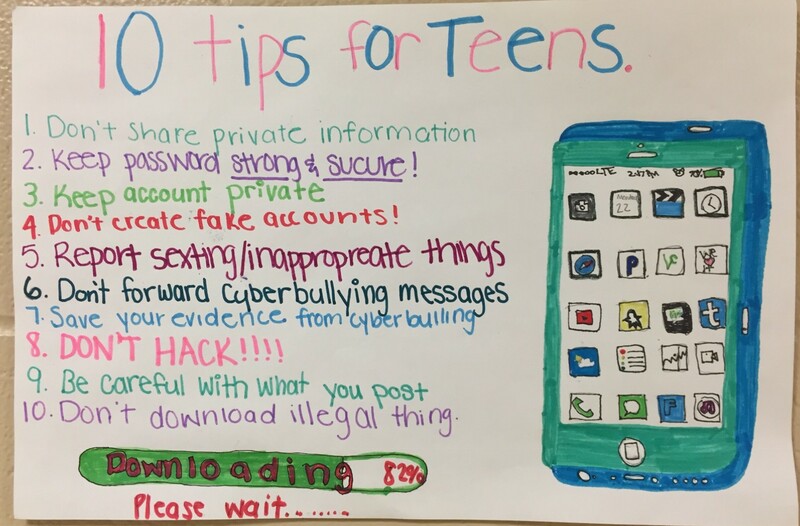 Students also created posters to hang in the hallway to inform others in the building of Cyber Tips. 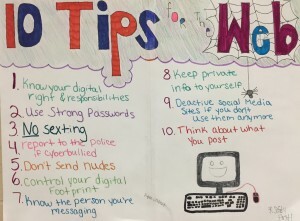 Powtoon Videos – These are a few of the best videos put together by my 8th graders. 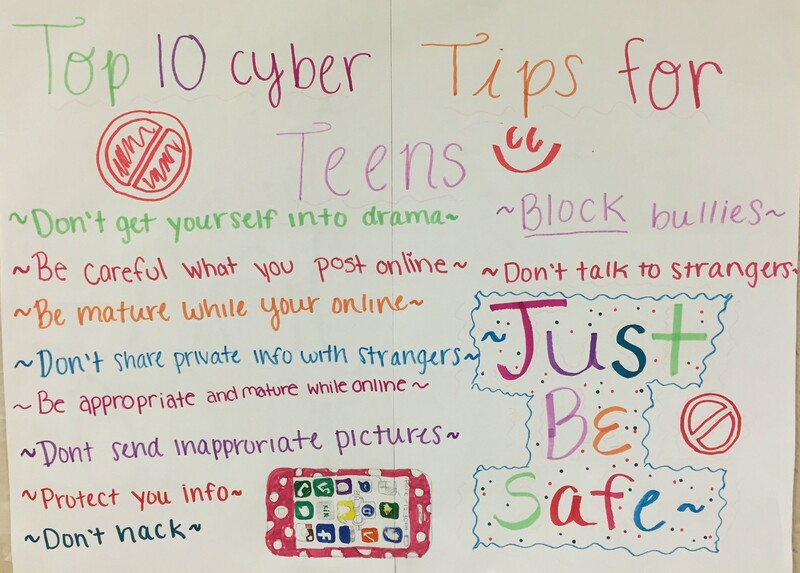 Posters – Students worked together to create posters giving Cyber Tips to other Teens. 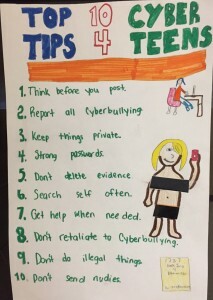 Here are a few of the posters.